I added a new type of tile: a wall that can be raised/lowered with a switch and that also blocks the exchange ray. 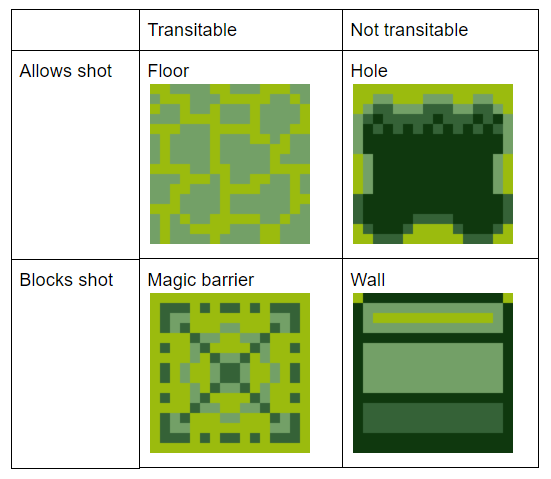 I was writing some documentation of the types of tiles in the game. The basic tiles that appeared in the Gameboy Jam version can be easily categorized. The player can only move or shot the exchange ray so each block can disrupt one or both of these actions. Later I added tiles that change after some events. For example walls that appear or disappear when using switches. 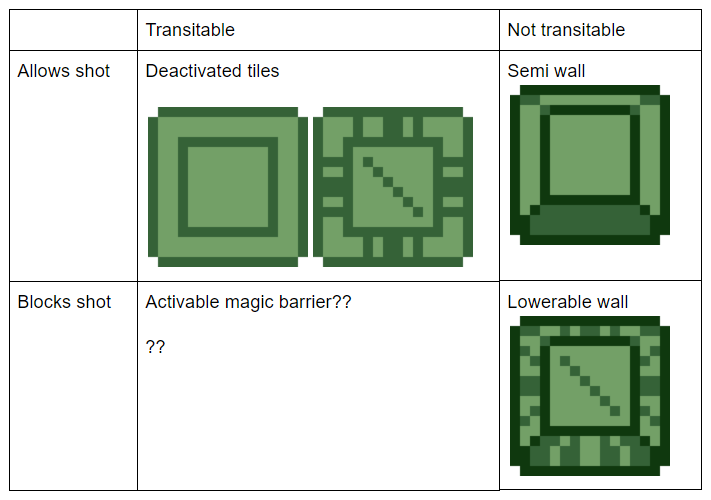 While trying to create a table like the one above with this switchable tile I found that I could potentially add two more types of tiles to cover all possible scenarios. For this version I implemented one of them: a wall that blocks both movement and shots. The activable magic barrier will be added soon to fill the whole table. Besides this new type of tile, I added 4 new levels and a demo level.